Vinh Phuc (VNA) - Police in the northern province of Vinh Phuc have decided to launch criminal proceedings against a coach driver following a deadly crash in Yen Lac district’s Trung Nguyen commune on March 27. Phan Thanh Phu, 43, has been charged with violating traffic regulations. He will be held pending further investigation. Police did not detect alcohol or drugs in the driver’s blood. The initial cause of the accident was identified as limited visibility and a loss of concentration on the part of the driver, who lost control of the coach’s speed. 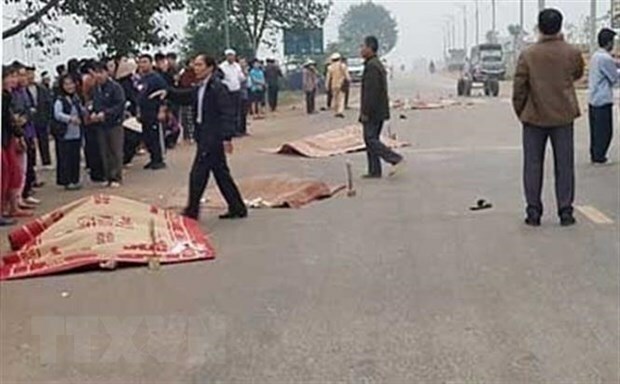 According to police, Phu crashed into a group of pedestrians taking part in a funeral procession in Trung Nguyen commune at 5:00am on March 27, killing seven people and injuring three others.